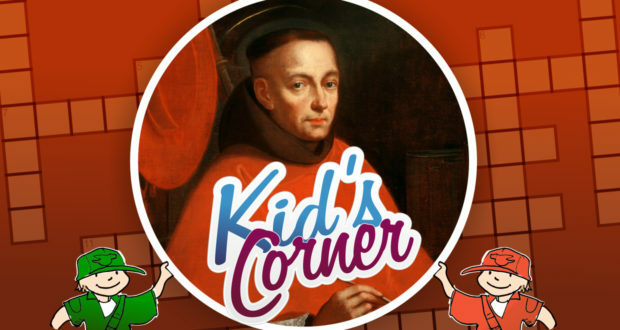 A fun activity to challenge your knowledge of facts and trivia. For all ages! Answer these questions: 1) St. ___ wanted to see proof of Our Lord's Resurrection before he believed. 2) The guards __ after seeing the stone rolled away. 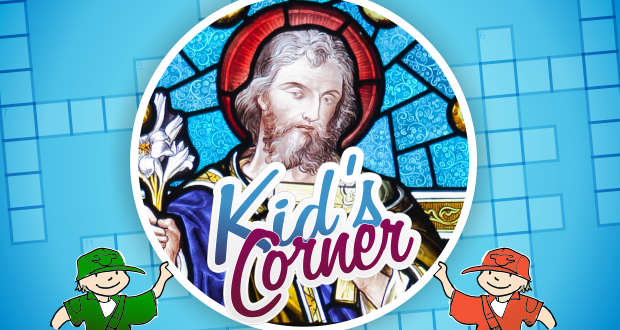 Answer these questions: 1) Pope St. _ the Great has a calendar and a type of church music named after him. 2) St. Peter _ baptized and ministered to many thousands of African slaves. 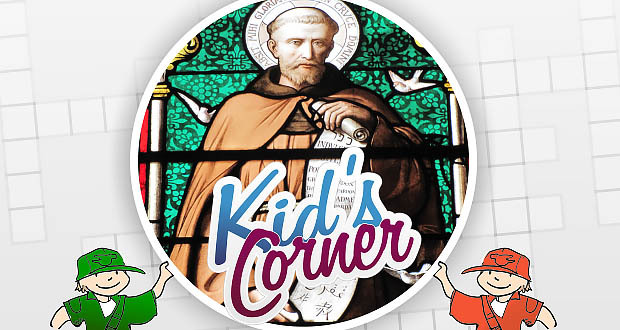 Kids' Corner | Download this ‘St Joseph’ Crossword! 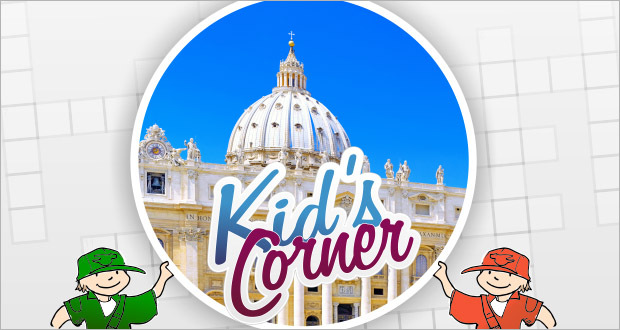 A fun activity to challenge your knowledge of facts and trivia. For all ages! 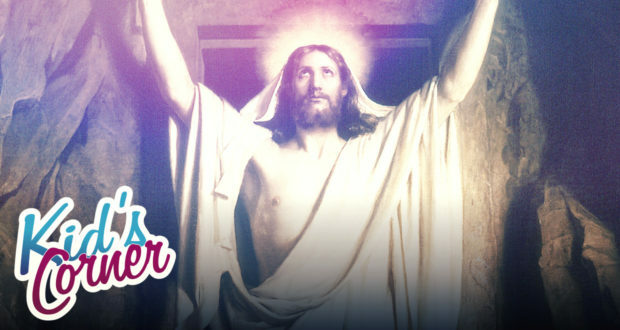 Answer these questions: 1) The month of June is dedicated to the ___ ___ of Jesus. 2) We celebrate the Feast of the ___ and ___ of Jesus on June 2nd. 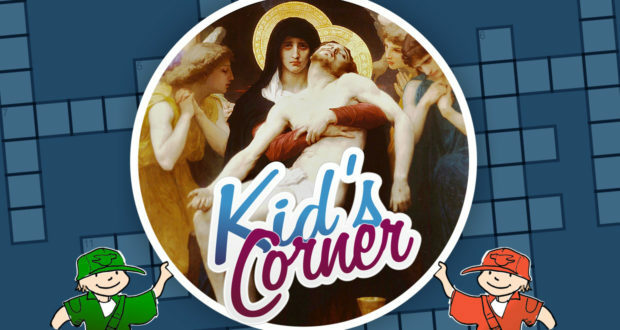 Kids' Corner | Download this ‘The Passion & Resurrection’ Crossword! A fun activity to challenge your knowledge of facts and trivia. For all ages! Answer these questions: 1) This is the Feast of the Resurrection of Christ. 2) On Good Friday, we remember Jesus’ ___. 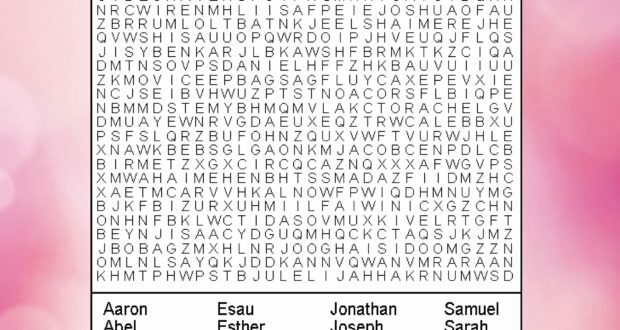 Download this ‘St Joseph’ Crossword! 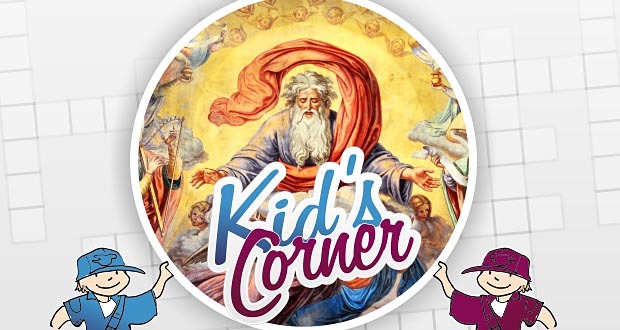 A fun activity to challenge your knowledge of facts and trivia. For all ages! 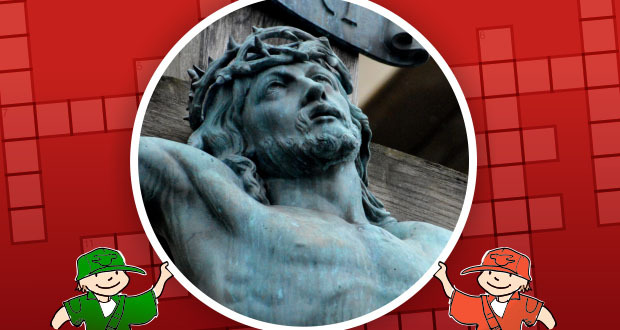 Answer these questions: On Good Friday, we remember Jesus’ ___. | Jesus celebrated the Last ___ on Holy Thursday. 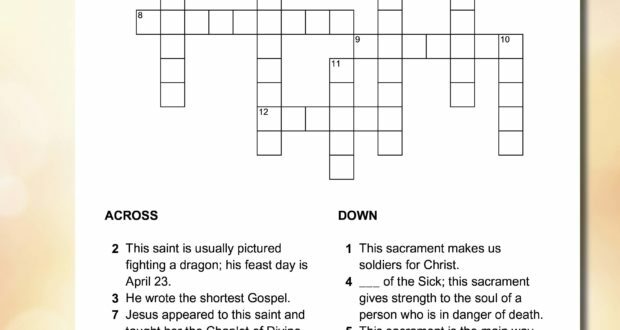 Download this ‘The 4 Marks of the Church’ Crossword! 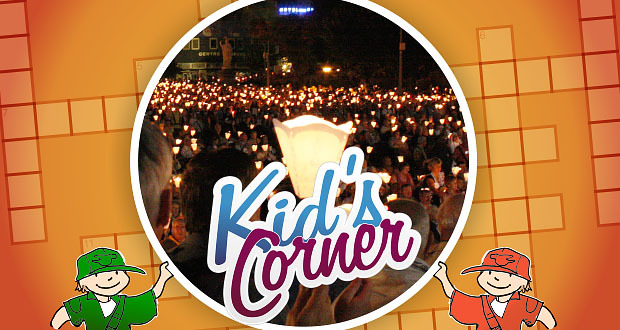 A fun activity to challenge your knowledge of facts and trivia. For all ages! Answer these questions: There are four ___ of the Catholic Church by which all men can recognize it as the true Church. This saint was martyred in the third century; many people give cards to their loved ones on his feast day. This saint was the brother of St. Methodius. 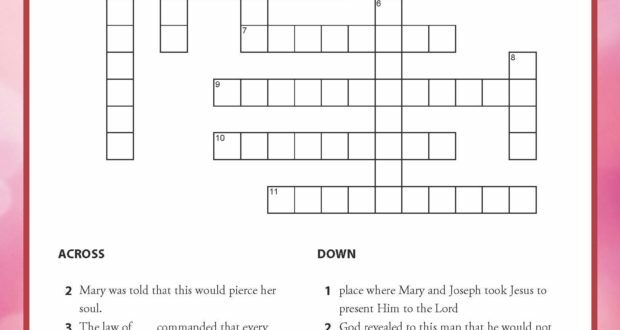 Download this ‘The 4 Marks of the Church’ Crossword! A fun activity to challenge your knowledge of facts and trivia. For all ages! Answer these questions: There are four ___ of the Catholic Church by which all men can recognize it as the true Church. - The Catholic Church has this mark because all its members profess the same faith and have the same sacrifice and sacraments. Download this ‘The First Christmas’ Crossword! 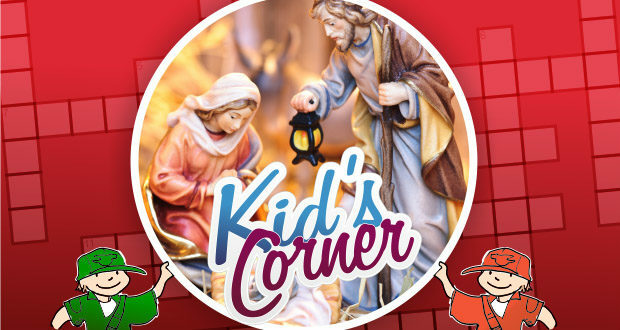 A fun activity to challenge your knowledge of facts and trivia on Christmas. For all ages! 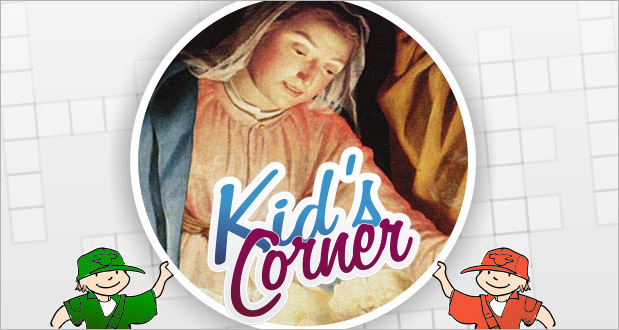 Answer questions like: 1) Catholics celebrate the feast of the Immaculate ___ of Mary on December 8. 2) The feast mentioned above means that Mary was conceived without ___ sin. The miracle of the sun happened on October 13th in this town? October is the month of this special prayer or devotion to our Blessed Mother? Answer these questions and more in this month's Crossword! 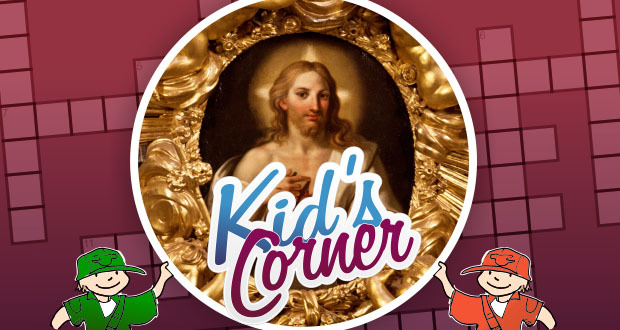 Who was Adam and Eve’s good son, who offered a lamb as a sacrifice to God? On the third day, God separated this from the dry land. 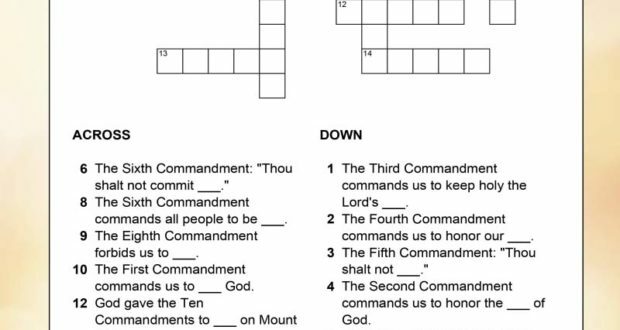 Answer these questions and more in this Crossword!